This club (not a class) is just the place for you. 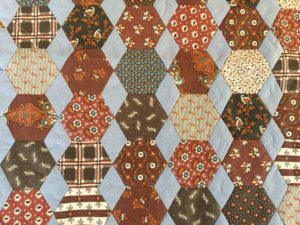 Rachael Lambrecht is the facilitator of this club for anyone who already loves English paper piecing, or for anyone who has been interested but doesn’t know where to start. 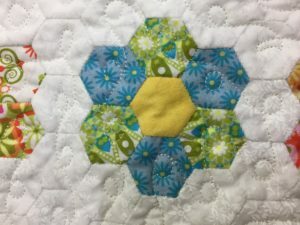 Spend the afternoon stitching on your project with others who are working on their hexies too! We can all share hints & tricks and learn from each other. And it isn’t just about traditional hexagons either. Have you wanted to start a Millefiore? Let’s do it together!